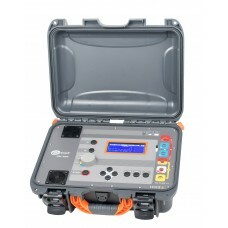 Sonel S.A. is a Poland-based company that produces the electric test equipment and measuring instruments for the power industry and telecommunications. 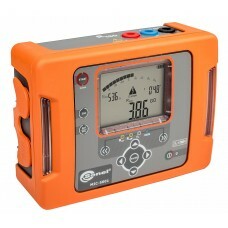 The Company’s meters are used to measure: fault loop resistance and impedance, insulation resistance, earth resistance and soil resistivity, residual current protections, current and voltage. 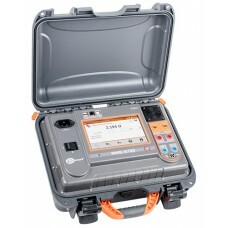 Moreover, the Company manufactures: multifunctional meters which combine the above-mentioned features, low resistance meters, phase sequence testers, wire tracers, power quality analyzers, clamp meters, multimeters, pyrometers and illuminance meters. 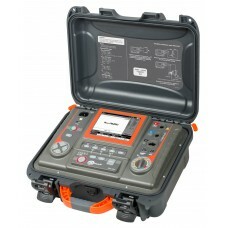 In addition, Sonel SA offers a range of accessories and software that enable transferring the measurement results into a computer and creating detailed reports, as well as maintenance and repair services. 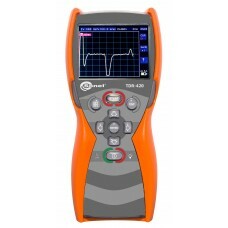 Voltage measurements (True RMS) Range Resolution Accuracy 0...750 V 1 V ±(2% m.v. 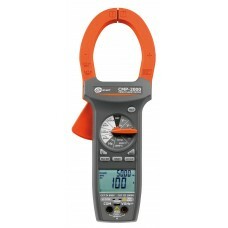 + ..
Voltage measurements (True RMS) Range Resolution Accuracy 0...550 V 1 V ±(2% m.v. + .. 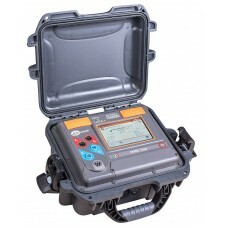 The LKZ-1500 set for underground utility localization, consistingof a transmitter and receiver, allo.. 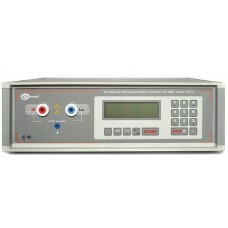 The SRP-10G0-10T0 calibrator is a source of high resistance, used as a standard in calibra.. 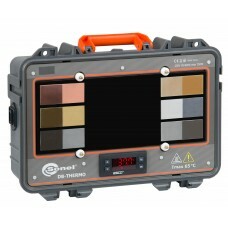 The CMM-60 multimeter allows you to record data thanks to the Trend Capture function of the built-in.. 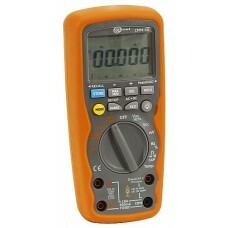 Insulation resistance measurement: up to 5 TΩ measuring voltage: 50 ... 5000 V r.. 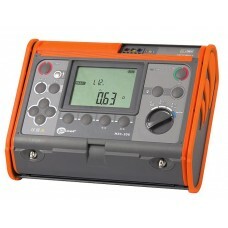 The MMR-6700 digital meter is designed for measuring low resistances with a stabilised current of up.. 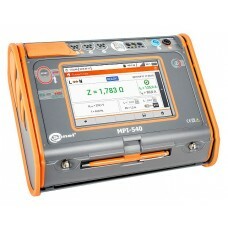 The MPI-540 meter is designed for checking home and industrial electrical installations. 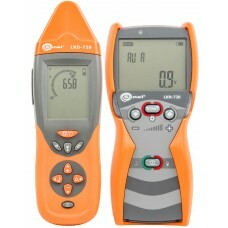 The measure..
Loop impedance measurement with resolution 0,01 Ω Loop impedance measurement without..
TDR-420 is a hand held Time Domain Reflectometer designed to identify and locate faults in power, te.. 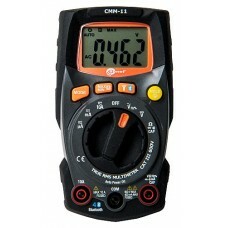 The CMM-11 multimeter is designed for quick diagnostics of devices and electric circuits. 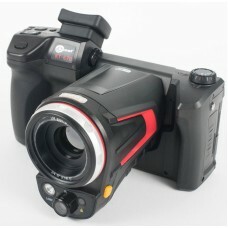 Thanks to .. 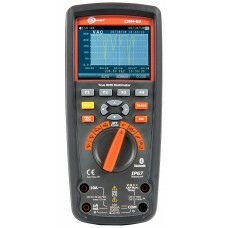 Insulation resistance measurement: up to 1 TΩ measurement voltage: 100…2500 V range with 100 .. 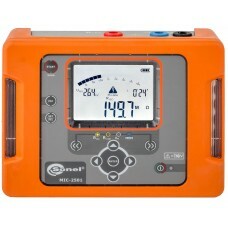 The MMR-6500 digital meter is designed for measuring low resistances with a stabilised current of up.. 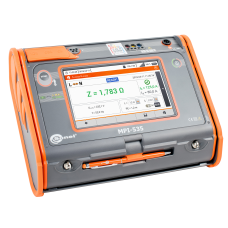 The MPI-535 meter is designed for checking home and industrial electrical installations. The measure.. 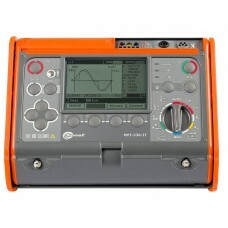 Measurement of very low short circuit loop impedances (with resolution 0,1 mΩ) with a current of 150..
Industrial multimeter CMM-40 was designed for the purpose of measurements of AC/DC voltage, AC/DC cu..
Universal clamp meter, enabling the maintenance of current measurements up to 2000 A, with the diame..
DB-THERMO demonstration board is an essential device for every training on non-contact ..
Polish manufacturer of measuring instruments introduces the new high level cameras with many usable .. 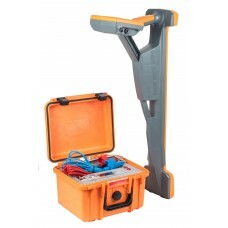 Detection of wires and cables (live or not) detection of cables in ceilings, walls .. 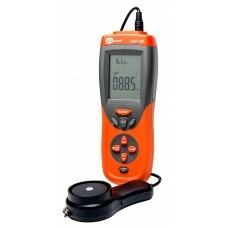 The new LXP digital light meter family allows for a very precise measurement of illuminanace. Tha.. 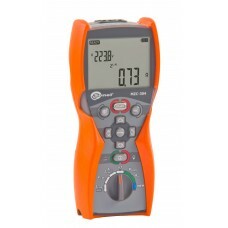 Insulation resistance measurement: up to 40 TΩ measurement voltage: 50…10000 V range (5.. 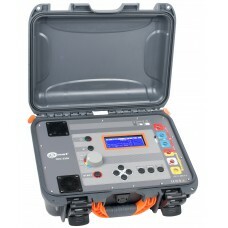 Designed to measure very low resistances of both resistive and inductive types of objects, including..
MPI-530-IT meter is a multi-functional instrument for electric shock protection measurements incl..
MPU-1 is dedicated to control (measure) leakage current in AC, low and medium voltage power netwo..